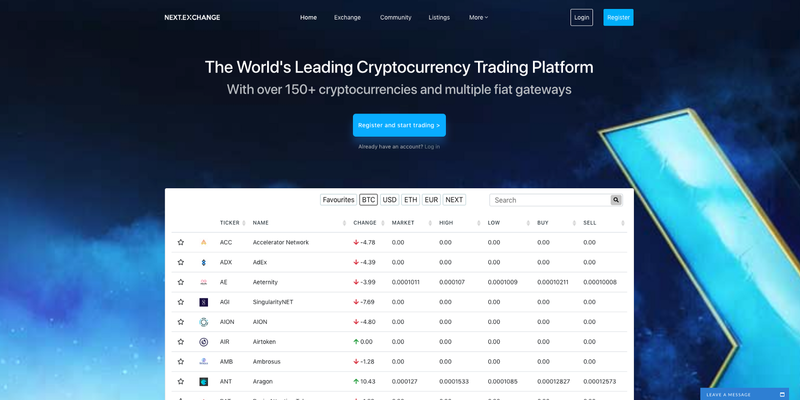 NEXT.exchange is a hybrid exchange platform that provides traders with access to over 100 digital assets that are paired with NEXT, BTC, ETH, USD, and EUR (with more fiat pairings on our internal roadmap). An interesting aspect of our exchange is that we provide each user with his or her own individual Blockchain wallet. Meaning that there is no central wallet from which funds are drawn to fulfill the trading process between users. We plan on allowing traders to export their private keys as they wish in the near future. We take great proud in the Blockchain architecture that we developed in-house for almost a year. 1) Masternodes (25,000 NEXT required as collateral). 2) PoW (SHA-256, BTC merge mining)/PoS Hybrid with Seniority rewards. For more information on our Blockchain, click here. Current status: to be deployed in a matter of weeks. 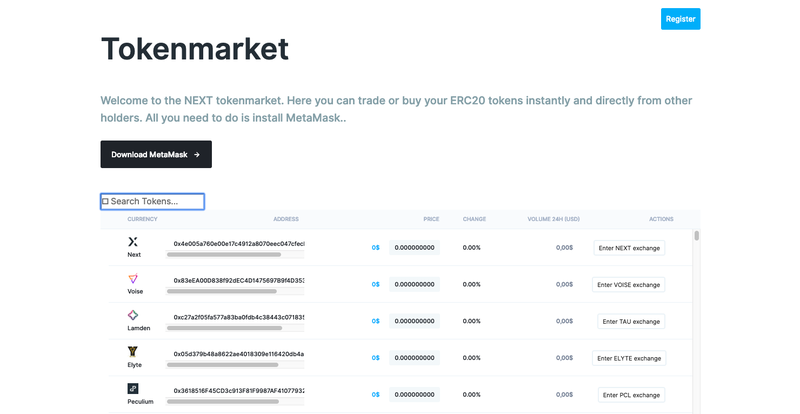 Our Tokenmarket utilizes the MetaMask plugin in order to allow users to exchange ERC20 type assets for Ethereum without having to log in or register an account anywhere. Trades are executed on a wallet to wallet basis. Zero third party involvement. Our Tokenmarket provides for a great way to carry out over the counter ERC20 trades without leaving a large impact on the market. Trade ERC20 assets like BAT (Basic Attention Token) without any restrictions.